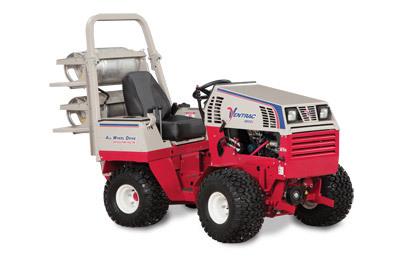 The Propane Kit is only available for the 4500Z Kubota Gas Engine. Included in this kit are the required components for the 4500Z to run on Liquid Propane (propane tanks not included). 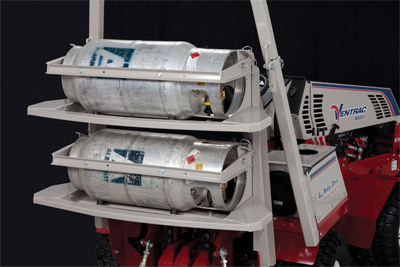 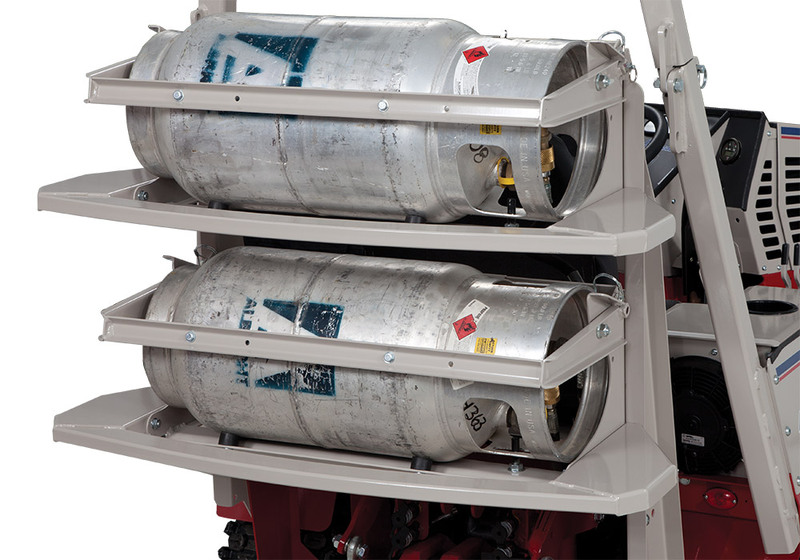 The Propane Kit can run up to two propane tanks, unless the tractor is equipped with a 3-point hitch. 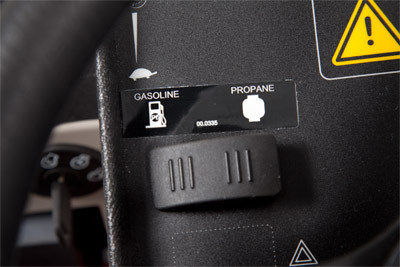 A simple switch on the dash of the tractor allows you to switch between gasoline or propane on the fly. Propane is no longer just for mowing. 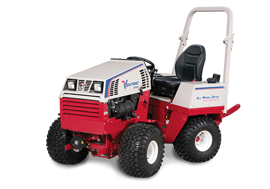 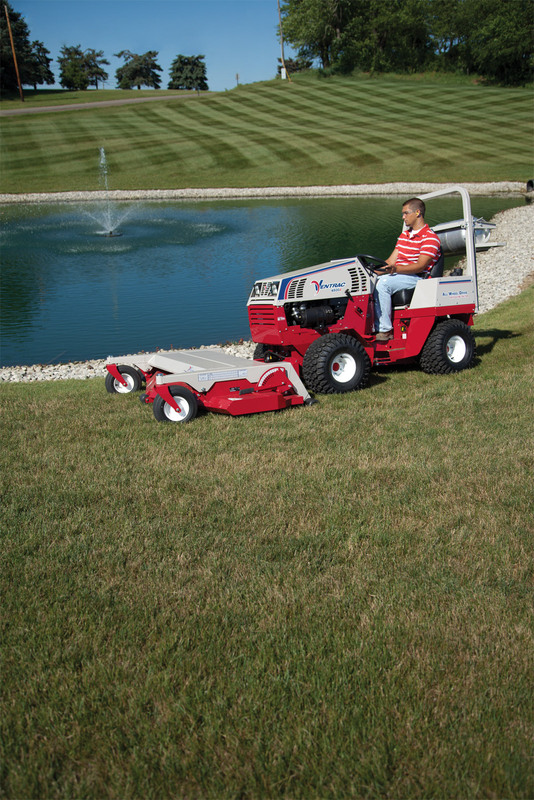 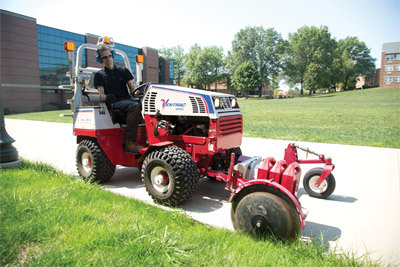 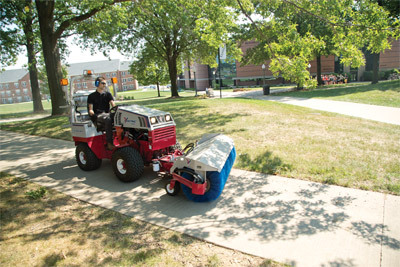 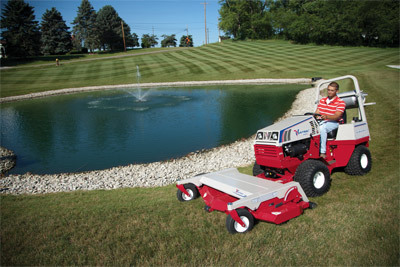 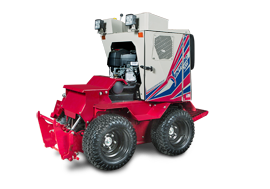 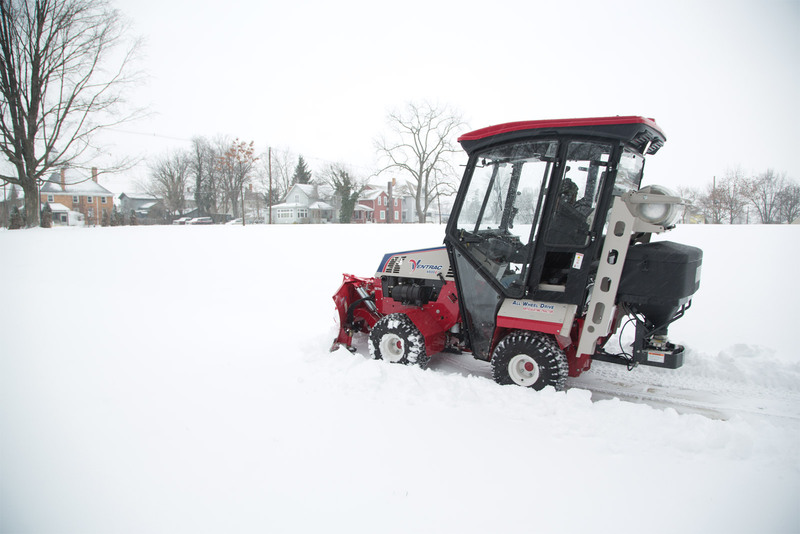 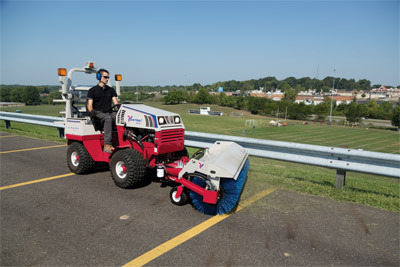 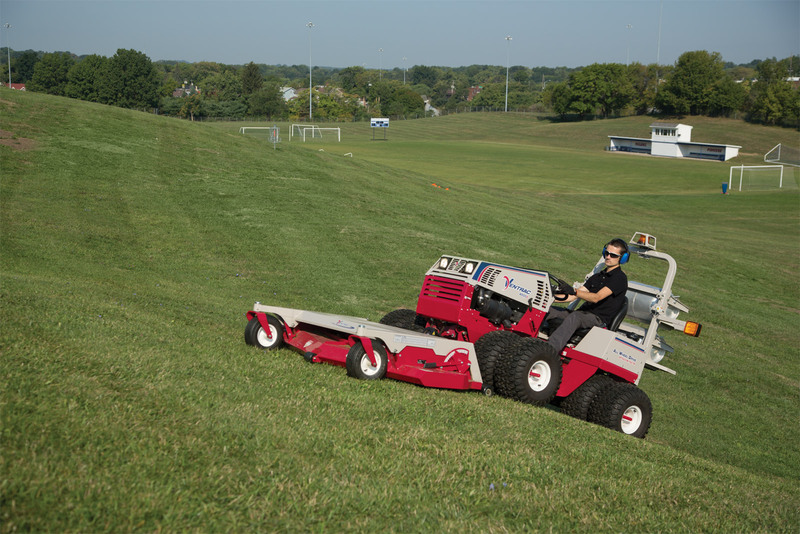 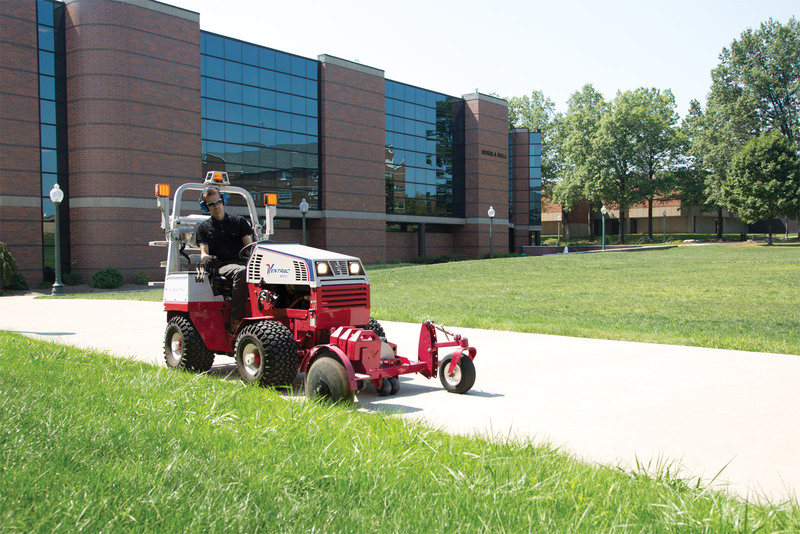 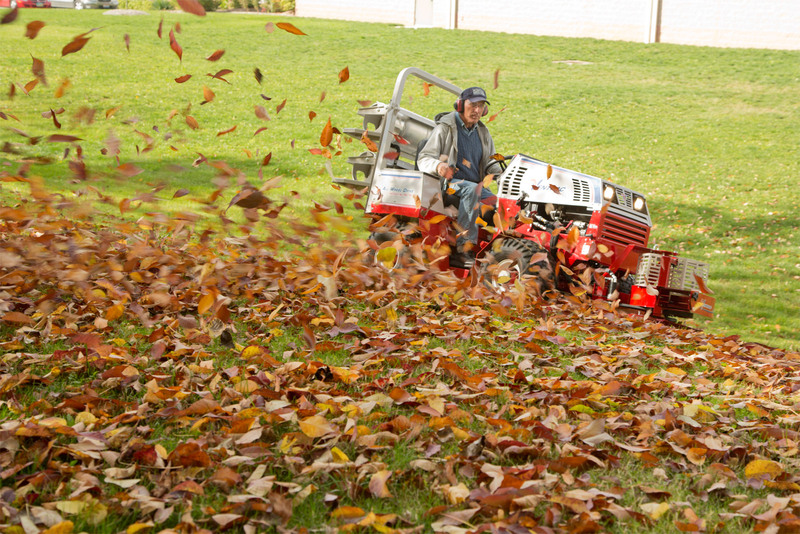 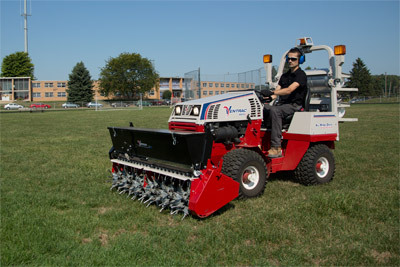 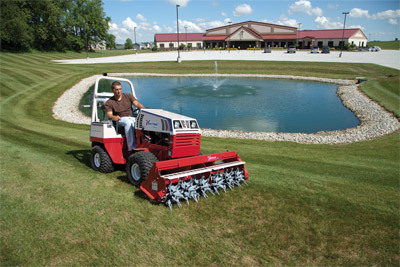 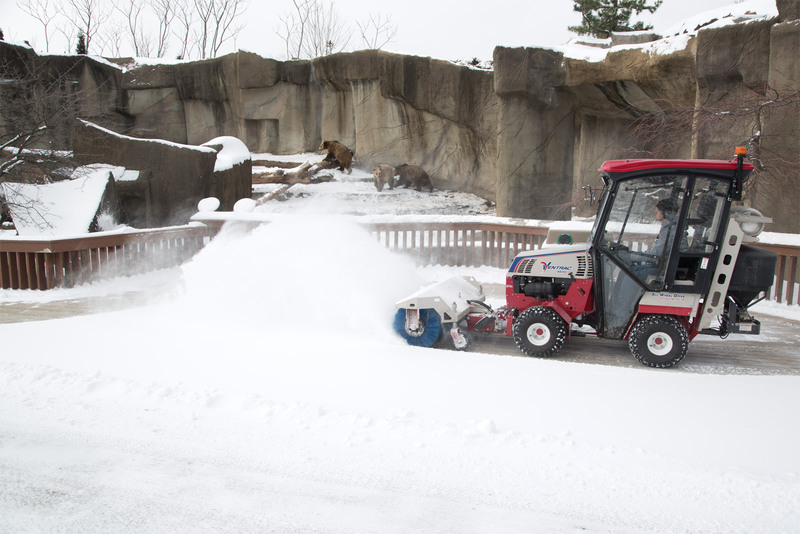 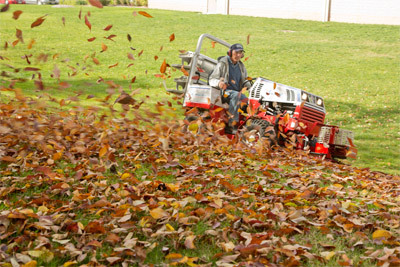 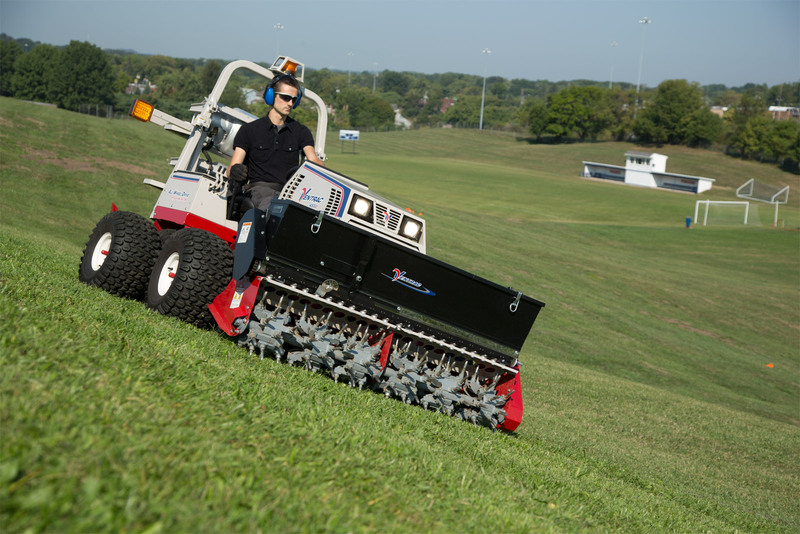 When equipped with the Propane Kit, the Ventrac 4500Z allows operators to choose from over 30 commercial grade attachments to get more work done. The Propane Education & Research Council has recently qualified Ventrac's 4500Z bi-fuel ready tractor for the Propane Mower Incentive Program. 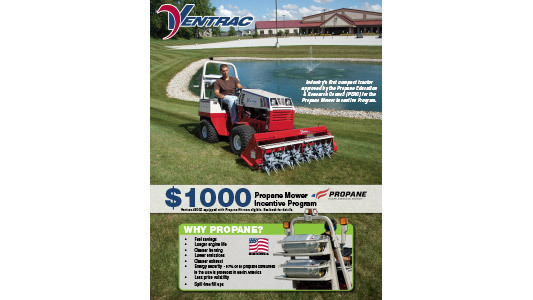 This incentive program gives eligible new owners of a 4500Z, equipped with a propane kit, a $1,000 incentive towards the purchase of the tractor. 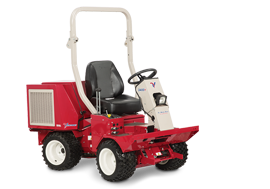 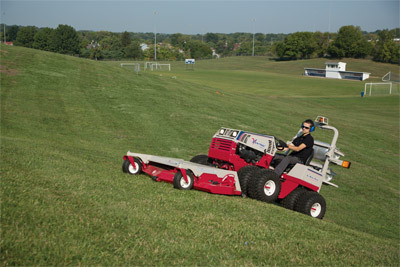 Enlarge Picture / Press Link · Ventrac 4500 articulating tractor with 72 inch mower - For tight maneuvering around precarious places, Ventrac does it efficiently and safer.